Personal injury is a legal term for an injury to the body, mind or emotions, as opposed to an injury to property. 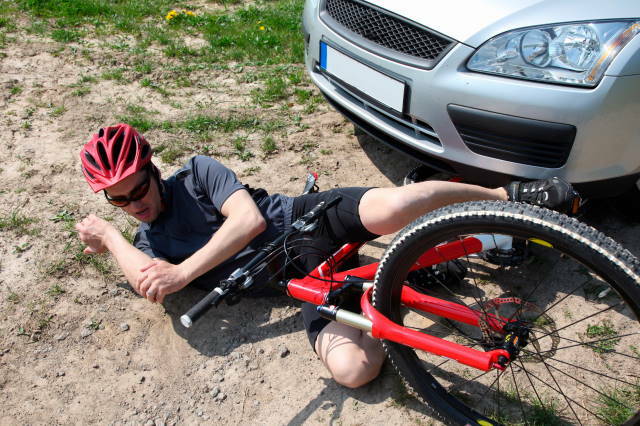 It usually follows an accident where the victim has suffered physical and emotional injuries. The most common cases with a Personal Injury Claim are Automobile Accidents.Please keep in mind that a Claim for Personal Injury applies to all victims including those without a work permit or work authorization. That means that even if the victim is undocumented, the law in Maryland, Virginia and the District of Columbia provides coverage or benefits to all workers injured on the job. The most common types of personal injury claims are road traffic accidents, tripping accidents, assault claims, accidents in the home, product defect accidents (product liability) and holiday accidents. The term personal injury also incorporates medical and dental accidents (which lead to numerous medical negligence claims every year) and conditions that are often classified asindustrial disease cases, including asbestosis and mesothelioma, chest diseases (e.g., emphysema,pneumoconiosis, silicosis, chronic bronchitis, asthma, chronic obstructive pulmonary disease, and chronic obstructive airways disease), vibration white finger, occupational deafness, occupational stress, contact dermititis, and repetitive strain injury cases. Aside from compensation for injuries, the injured person can also get compensated for how the injuries have affected his or her life. An example, a carpenter suffers a wrist injury which prevents him from playing sports with his or her children. This can be compensated for, over and above the award for the injury itself. This is called loss of amenity, and the award for loss of amenity is part of the claim for pain, suffering and loss of amenity. In the same manner the injured person can also be compensated if, as a result of the injuries, there has been an inability to doing work which was previously really enjoyed. This is called loss of congenial employment. The basic concept at Malouf & Associates is to provide superior legal services during a time where our clients are facing many financial difficulties and many times are unable to work due to the accident. Personally injury cases are uniquely suited for Malouf & Associates as helping people put their lives back together is our main goal. Malouf & Associates will talk to the insurance adjusters, treating doctors or witnesses so that your case is properly handled. Additionally we insist on meeting their attorney in person and listen to how the accident took place and how it has affected their lives.